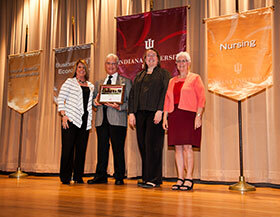 Indiana University East presented several faculty and staff with awards during the Faculty and Staff Recognition ceremony held March 29. 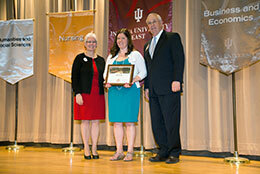 Alisa Clapp-Itnyre, professor of English, is the recipient of the Distinguished Faculty Service Award. This award recognizes distinguished service—campus, community or professional, either one-time or sustained, by a full-time faculty member above and beyond the standard expectations of any compensation or release time provided for the service.